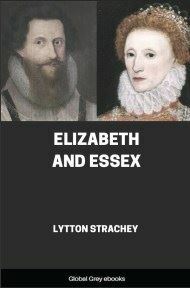 One of the most famous and baffling romances in history, between Elizabeth I, Queen of England and Robert Devereux, Earl of Essex, began in May of 1587, when she was fifty-three and he was just shy of twenty. Their relationship continued until 1601, when he was beheaded for treason. 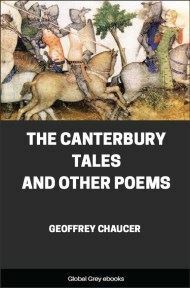 Strachey portrays the Queen's and the Earl's compelling attraction for one another; their impassioned disagreements; and their mutual contest for power which led to a final, tragic confrontation. Here we also have superb portraits of influential people of the time: Francis Bacon, Robert Cecil, Walter Raleigh, and other figures of the court who struggled to assert themselves in a kingdom that was primarily defined by her sovereign. The English Reformation was not merely a religious event; it was also a social one. While the spiritual mould of the Middle Ages was shattered, a corresponding revolution, no less complete and no less far-reaching, occurred in the structure of secular life and the seat of power. The knights and ecclesiastics who had ruled for ages vanished away, and their place was taken by a new class of persons, neither chivalrous nor holy, into whose competent and vigorous hands the reins, and the sweets, of government were gathered. This remarkable aristocracy, which had been created by the cunning of Henry VIII, overwhelmed at last the power that had given it being. The figure on the throne became a shadow, while the Russells, the Cavendishes, the Cecils, ruled over England in supreme solidity. 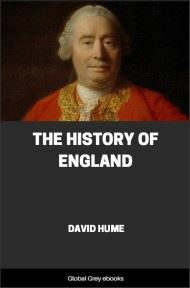 For many generations they were England; and it is difficult to imagine an England without them, even to-day. The change came quickly — it was completed during the reign of Elizabeth. The rebellion of the Northern Earls in 1569 was the last great effort of the old dispensation to escape its doom. 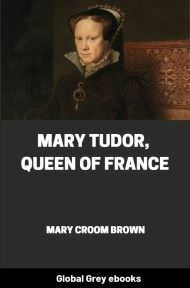 It failed; the wretched Duke of Norfolk — the feeble Howard who had dreamt of marrying Mary Queen of Scots — was beheaded; and the new social system was finally secure. Yet the spirit of the ancient feudalism was not quite exhausted. Once more, before the reign was over, it flamed up, embodied in a single individual — Robert Devereux, Earl of Essex. The flame was glorious — radiant with the colours of antique knighthood and the flashing gallantries of the past; but no substance fed it; flaring wildly, it tossed to and fro in the wind; it was suddenly put out. In the history of Essex, so perplexed in its issues, so desperate in its perturbations, so dreadful in its conclusion, the spectral agony of an abolished world is discernible through the tragic lineaments of a personal disaster. His father, who had been created Earl of Essex by Elizabeth, was descended from all the great houses of mediaeval England. The Earl of Huntingdon, the Marquis of Dorset, the Lord Ferrers — Bohuns, Bourchiers, Rivers, Plantagenets — they crowded into his pedigree. One of his ancestresses, Eleanor de Bohun, was the sister of Mary, wife of Henry IV; another, Anne Woodville, was the sister of Elizabeth, wife of Edward IV; through Thomas of Woodstock, Duke of Gloucester, the family traced its descent from Edward III. The first Earl had been a man of dreams — virtuous and unfortunate. 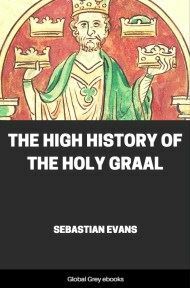 In the spirit of a crusader he had set out to subdue Ireland; but the intrigues of the Court, the economy of the Queen, and the savagery of the kerns had been too much for him, he had effected nothing, and had died at last a ruined and broken-hearted man. His son Robert was born in 1567. Nine years old when his father died, the boy found himself the inheritor of an illustrious name and the poorest Earl in England. But that was not all. The complex influences which shaped his destiny were present at his birth: his mother was as much a representative of the new nobility as his father of the old. Lettice Knollys’s grandmother was a sister of Anne Boleyn; and thus Queen Elizabeth was Essex’s first cousin twice removed. A yet more momentous relationship came into being when, two years after the death of the first Earl, Lettice became the wife of Robert Dudley, Earl of Leicester. The fury of her Majesty and the mutterings of scandal were passing clouds of small significance; what remained was the fact that Essex was the stepson of Leicester, the Queen’s magnificent favourite, who, from the moment of her accession, had dominated her Court. What more could ambition ask for? All the ingredients were present — high birth, great traditions, Court influence, even poverty — for the making of a fine career. The young Earl was brought up under the guardianship of Burghley. In his tenth year he was sent to Trinity College, Cambridge, where in 1581, at the age of 14, he received the degree of Master of Arts. His adolescence passed in the country, at one or other of his remote western estates — at Lanfey in Pembrokeshire, or, more often, at Chartley in Staffordshire, where the ancient house, with its carved timber, its embattled top, its windows enriched with the arms and devices of Devereux and Ferrers, stood romantically in the midst of the vast chase, through which the red deer and the fallow deer, the badger and the wild boar, ranged at will. The youth loved hunting and all the sports of manhood; but he loved reading too. He could write correctly in Latin and beautifully in English; he might have been a scholar, had he not been so spirited a nobleman. As he grew up this double nature seemed to be reflected in his physical complexion. The blood flew through his veins in vigorous vitality; he ran and tilted with the sprightliest; and then suddenly health would ebb away from him, and the pale boy would lie for hours in his chamber, obscurely melancholy, with a Virgil in his hand. When he was eighteen, Leicester, sent with an army to the Netherlands, appointed him General of the Horse. The post was less responsible than picturesque, and Essex performed its functions perfectly. 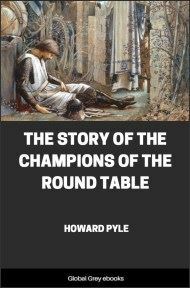 Behind the lines, in festive tournaments, “he gave all men great hope,” says the Chronicler, “of his noble forwardness in arms”— a hope that was not belied when the real fighting came. In the mad charge of Zutphen he was among the bravest, and was knighted by Leicester after the action. More fortunate — or so it seemed — than Philip Sidney, Essex returned scathless to England. He forthwith began an assiduous attendance at Court. The Queen, who had known him from his childhood, liked him well. His stepfather was growing old; in that palace a white head and a red face were serious handicaps; and it may well have seemed to the veteran courtier that the favour of a young connexion would strengthen his own hand, and, in particular, counterbalance the rising influence of Walter Raleigh. Be that as it may, there was soon no occasion for pushing Essex forward. It was plain to all — the handsome, charming youth, with his open manner, his boyish spirits, his words and looks of adoration, and his tall figure, and his exquisite hands, and the auburn hair on his head, that bent so gently downwards, had fascinated Elizabeth. The new star, rising with extraordinary swiftness, was suddenly seen to be shining alone in the firmament. The Queen and the Earl were never apart. She was fifty-three, and he was not yet twenty: a dangerous concatenation of ages. Yet, for the moment — it was the May of 1587 — all was smooth and well. There were long talks, long walks and rides through the parks and the woods round London, and in the evening there was more talk, and laughter, and then there was music, until, at last, the rooms at Whitehall were empty, and they were left, the two, playing cards together. On and on through the night they played — at cards or one game or another, so that, a contemporary gossip tells us, “my Lord cometh not to his own lodging till birds sing in the morning.” Thus passed the May of 1587 and the June.